Walking along the streets of Athens, the air filled with a sense of comfort. When an Athenian or a University of Georgia student leaves this town, the town never leaves them. The people of Athens love their city, but they have no way to effectively and efficiently collect the historical memories of their town. Here is a solution for that problem. Developed by Fall 2015 New Media Capstone students, this web app allows users to access Athens’ past through the stories and photos of those who live in and love Athens. Users can upload their photos of a location–-like a family church–-and give a story of its importance. 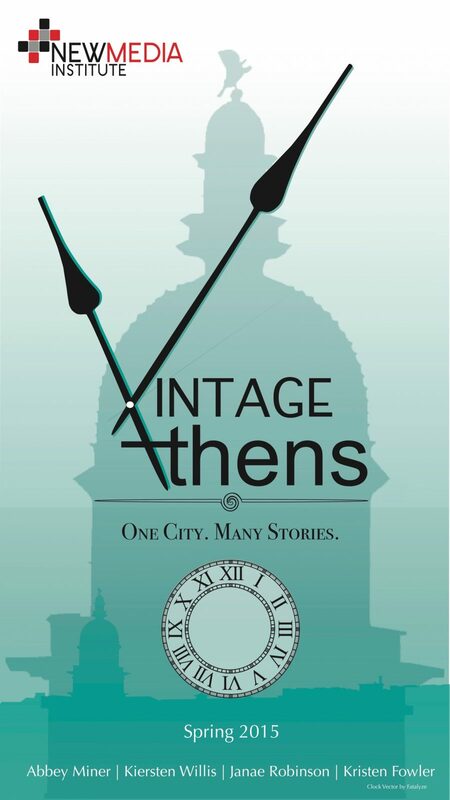 Vintage Athens is dedicated to providing these experiences at the tap of a button. This is the city’s app. In the future, we envision this as something that can be applied to towns of all shapes and sizes nationwide.